Why? : I picked this one up back in August, prime baseball season. 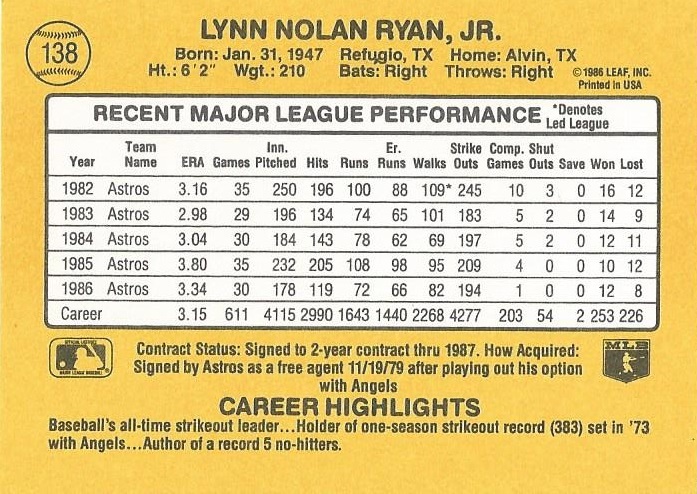 It takes me back to the days of going to the card shop with my dad and brothers and searching for new Nolan Ryan cards for my collection. 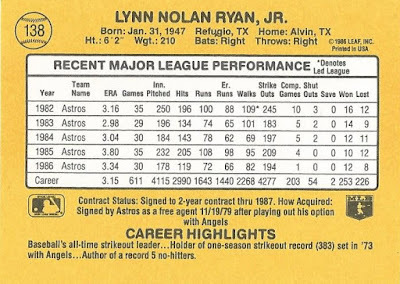 I had a pretty decent collection of "The Ryan Express" back in the day, and I know I had this one in particular. Nice to have a copy again, worth it for 35 cents all day long. 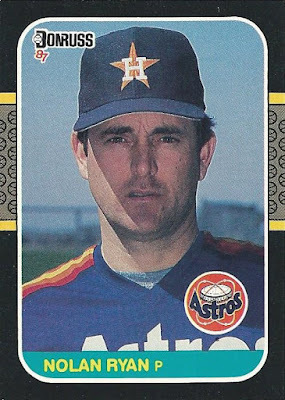 I broke a lot of packs back in 1987 in an effort to build sets and player lots. This card definitely would have been set aside and put into a special stack. 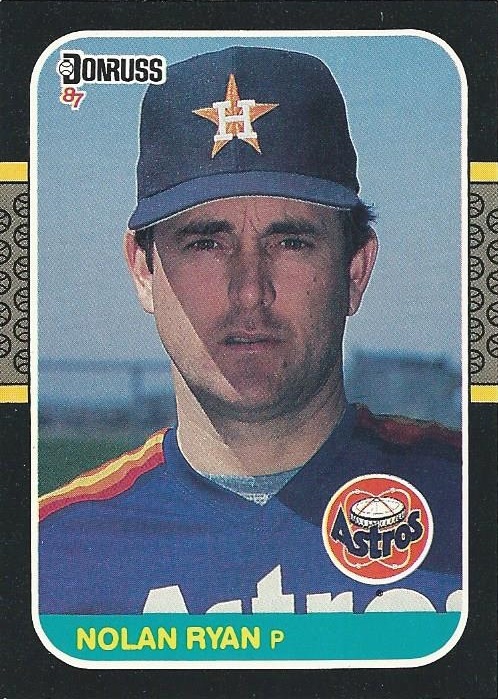 The 1987 Donruss Set was one set that we had a hard time finding in WY. 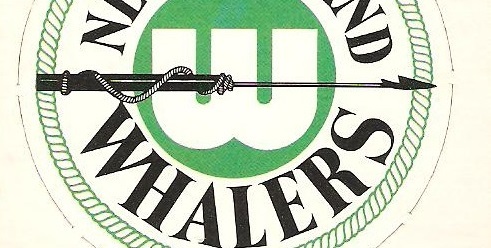 It was 95% Topps so anytime shipments of these Donruss came in, we were all over them. The Best 17 of 2017! Buyback Franken-set: 900 and Counting! Signature Sundays - Sweet Sweet Redemption! Douglas Sends the Best Soccer Player on Earth?